This Friday, we have been blessed, once again, with a cosmic event that allows us to reset, manifest, and live in our magick. 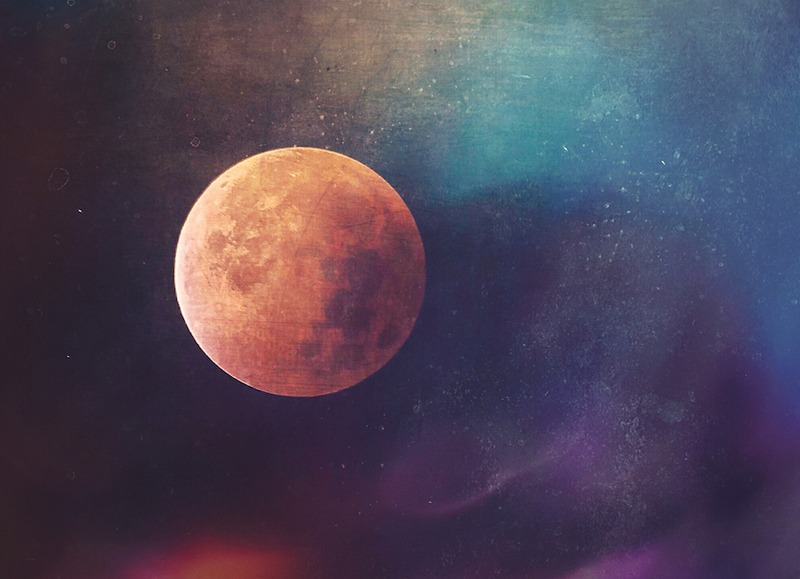 The Sagittarius Full Moon, also known as the Strawberry Moon and the Strong Sun Moon, is a perfect time to think about how you can expand your vision for the life you’ve been itching to live. And it’s the perfect time to shed those layers that are holding you back from getting there. The Sagittarius Full Moon is a time for us to gather with our loved ones, to focus on everything we hold near and dear to our hearts, and the perfect excuse to spend as much time as we can in nature, under the Full Moon herself. Since this month’s Full Moon is in fiery Sagittarius, we have some extra oomph as we plot and plan our newest destiny. "This is a powerful time for emotional release, and we may also find our spirituality or faith being tested. 'What do you believe in?' is a question you can be expected to face during this full moon!" Full Moon’s are the strongest energetic time of the month, which means any feelings you had prior will be intensified. Our suggestion on how to cope? Grab your BFF, a journal, some wine, and head somewhere outside where you can bathe in the moon rays as you write everything you’re feeling down. Extra points if you write and then burn it all up (safely, of course!). And since the sun is still in communicative Gemini, you may even find yourself buzzing with new ideas to manifest in the coming weeks. "Sagittarius is a sign that loves to travel, so get away! If you can’t leave town, try to hit up a lecture about a topic that’s new to you, or spend time in a neighborhood you hardly visit. Explore — whether that means intellectually, or literally." So that trip to the beach you’ve been putting off? This weekend may be the perfect time to have the most cosmic trip around. And that museum you’ve been meaning to visit? Go there, too! The underlying key is to adventure and try something new! The Sagittarius Full Moon is asking you to see things in a new light, so give yourself permission to do just that. As the moon shines her light, she gives us permission to do the same. If you feel like keeping it more low-key, but are still looking for another way to decompress, then try taking a ritual bath. Grab your favorite candles, crystals, and essential oils, and give yourself some time to be held by warm water. You can add lavender bath salts, rose petals, rose quartz, laborite, selenite, and whatever else makes you feel connected to your heart. If you want some extra cleansing, try burning palo santo or white sage before stepping into the bath. "Repressing your emotions is the worst way to approach any full moon. Since this one is in know-it-all Sag, be prepared to back up your thoughts with research — know what to say when someone asks you 'why?'" You can also make a vision board or a bucket list for the coming weeks, if you’re really looking to manifest some palpable change this Full Moon. Take time to really think about what you want in the next couple weeks, keeping in mind that as the moon’s light wanes, we also release. So if you’re planning on making a bucket list of things you do want to accomplish, taking some time to make a list of things you want to let go of (whether that’s an unhealthy habit or pattern) is also a sure-fire way to celebrate and bask in Sagittarius’s passionate energy. Either way, take some time to spot the Sagittarius Full Moon, talk to her, and remember that you’re the powerful, unstoppable goddess you are! And in case you want even more astrological insight, be sure to hit up Annabel Gat.